Since most of us don’t remember to reapply sunscreen as frequently as recommended (if at all), we often wind up with a tan line or two after a day at the beach. And since some lines tend to be a bit distracting (think backless mock-neck swimsuit), we reached out to a couple skin and makeup experts to learn how to fix tan lines. Let’s face it: We’ve all had an unsightly stripe one time or another (even the occasional farmer’s tan, or worse, a sunglass line). Therefore, we’ve compiled four different ways to fix, hide, and fill in unfavorable tan lines. From traditional methods like applying body makeup via a Kabuki brush to less conventional practices like rubbing potato slices on your skin, our tan line–erasing hacks will make your stripes disappear in no time. For our tricks to fixing tan lines, keep on reading. The first step to fading a tan line is exfoliation, says Joanna Vargas, celebrity facialist and founder of Joanna Vargas Salon and Skincare Collection. To do this, she recommends using a clean washcloth and body scrub. If you don't have time to run out and get a scrub, Vargas says you can make one at home with brown sugar, olive oil, and honey. 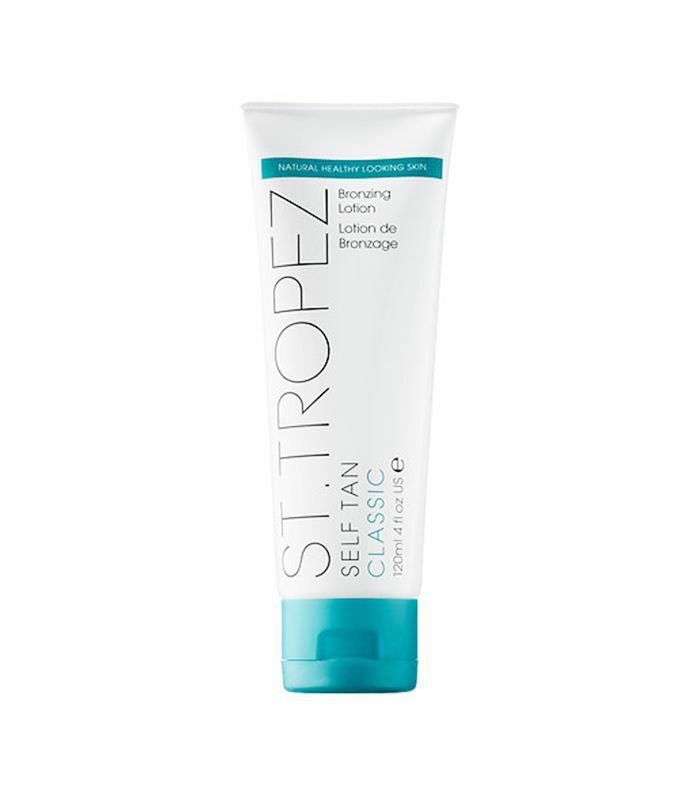 To fix traditional tan lines, St. Tropez's skin-finishing expert Sophie Evans says to "paint [self-tanning] lotion heavily onto your tan lines, being as meticulous as possible. Leave on for eight hours (or overnight), and then shower it off." Once dry, look to see if your lines are even. If so, leave them be. 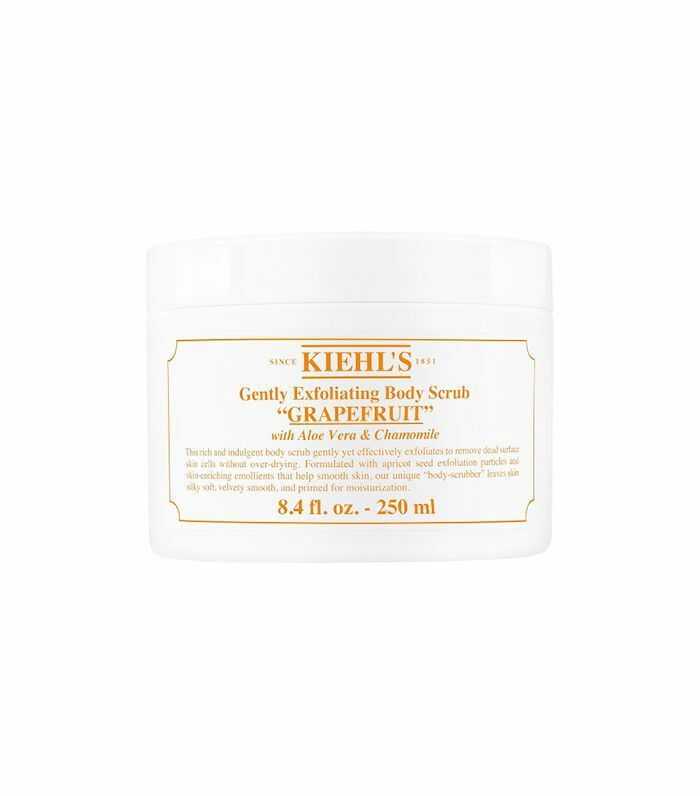 If not, Evans says to use a gentle exfoliator to soften the lines' appearance. When filling in your tan lines, Evans recommends using a Kabuki brush for large lines and a concealer brush for smaller areas and edges. Vitamin C has been proven to lighten skin, and since potatoes are rich in the vitamin, Vargas says they are great for fading a tan. In order to do this, Vargas recommends blending potatoes into a mask and applying it to the darker, outer edges of your line. Let the mask sit for 20 to 30 minutes before wiping it off. Don't have a blender? Vargas says you can also apply slices of potatoes to your skin for similar results. When all else fails, reach for foundation, says aesthetician Graceanne Svendsen from Shafer Plastic Surgery. 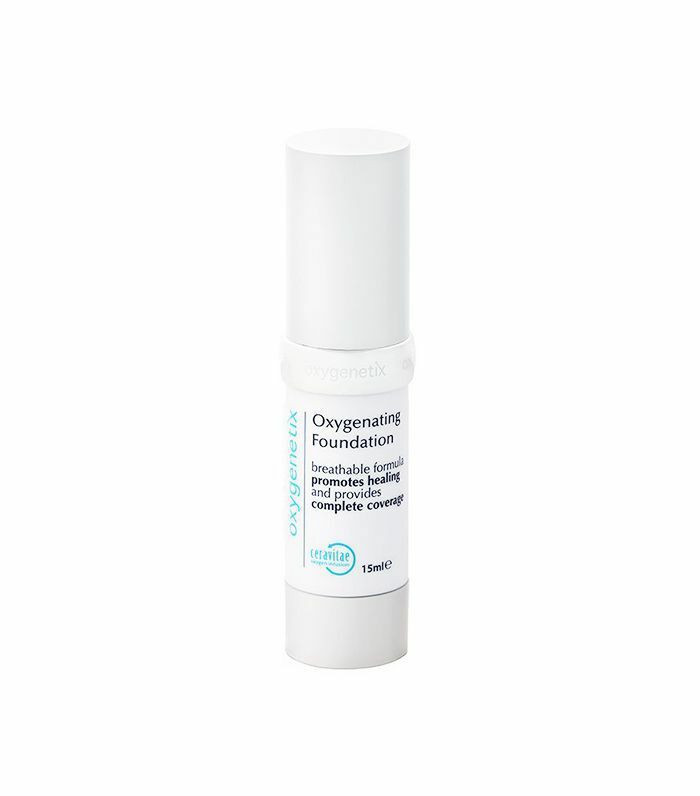 Simply fill in the tan line with a camouflaging foundation like Oxygenetix formula, which comes in 14 different shades and is gentle enough to use on irritated, sun-tanned skin. Next up: How not to get self-tanner on everything you own.